Video Converter Ultimate is, well, a video converter if it wasn’t obviously apparent from the name. The interface is simple to understand for a new user, but it still maintains that pro feels unlike Free Video Converter. Drag a video file to the program window, select the output folder at the bottom, choose the desired output format from the right and you’re ready to convert a video already. You can select multiple videos at once and batch convert them together, join the videos into one while you’re at it as well. But unlike any other regular converter, Video Converter Ultimate is also the only YouTube video converter you will need. As said previously, the conversion process is pretty painless and user-friendly. There are so many video formats to choose from which are categorized in various easy to find categories and subcategories including formats sorted by devices. Everything is clearly labeled and easily accessible. It is set up so that most tools only involve pointing and clicking to reach your destination. The conversion speeds are fairly close enough to its modern competition; sometimes it can be quicker, and sometimes even quicker. Conversion rates depend not only on the size of the video file but also other aspects like the frame rate, and audio codec and also the machine being used so a clear cut time limit for a specific video length or size can not be given. For your reference, however, it took us almost 3 hours to convert a 3 hour, full HD, 23 fps, 6.17 GB, an MKV video file to an MP4 with the same details on an i3 4th gen machine with 8GB of RAM. Having had an experience with many other video converters, we can say this is as fast as it gets. It also lets you burn DVDs in case you still use them. Even if you don’t, it never hurts having DVD burning capabilities in your favorite Video Converter. There is a decent selection of templates which you can customize to some extent as well like changing the text, image or music. When you select a video to convert, you’ll notice the big Edit button on the video listing. Clicking on it takes you to the editing portion of VCU, something a lot of video converters have too but the video editor on VCU is not as bare bones as one would expect from a video converter. Apart from the usual video trimming, adding subtitles and such you can add various filters and shades to a video, even rotate or flip or crop them. In the screenshot above you can see how easy it is to add text to a video, which appears for a particular time during the video or during the entire video depending on your choice. VCU also let you set the transparency of the text. The best part is, much like converting the video, the process is as simple as adding filters to pictures on Instagram. You feel right at home even if you have never edited a video in your entire life. Of course this is no match for a professional video editing software such as Adobe Premier because this is a Video Converter, not an Editor. Yet, it does have a pretty easy and somewhat useful editor built right into it which is always a plus in our book. 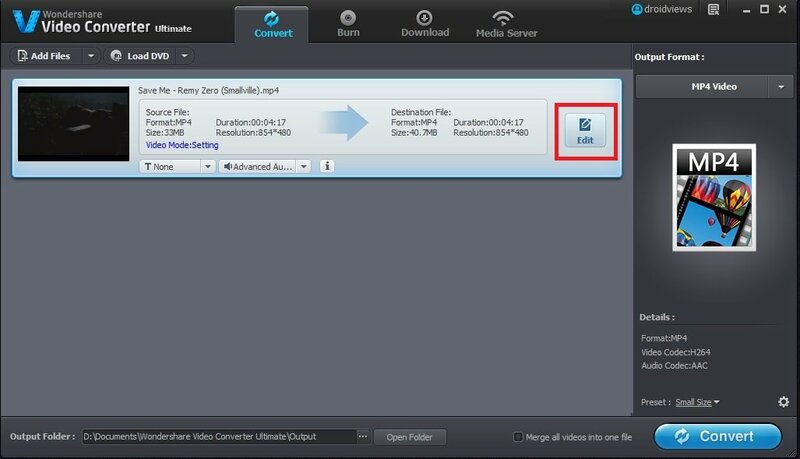 Until now, Video Converter Ultimate must have sounded like just any other video converter out there, and you must be wondering if the title is misleading. We’re not here to mislead you for clicks however, and the title is entirely true in our experience. VCU not only does the usual video converter stuff, but you can also download videos from a list of 1000+ websites by just pasting the video URL in VCU. But why just download? VCU even lets you convert them on the fly, so the videos are saved on your computer in a format you prefer. It is a video converter after all. The process is a breeze much like the other function of VCU. Do remember to grant firewall access to VCU when prompted if you wish to use this feature. You might get an error in case your firewall blocks VCU from accessing the internet. And yes, the 1000+ supported websites include YouTube as well. 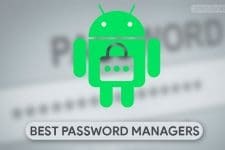 Of course, but the list also includes Facebook, which is another rising video sharing platform. If you buy the full version, VCU also supports downloading YouTube videos as MP3 instead of just a ton of video formats so you can also download that song cover you liked from YouTube. 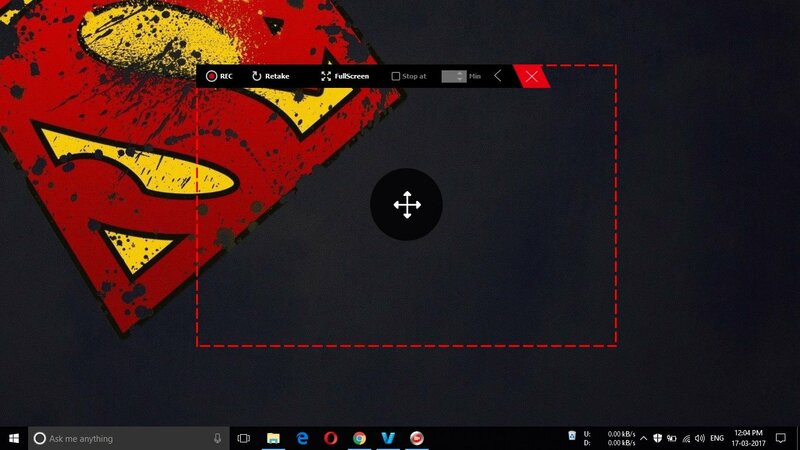 The full version also lets you record your computer screen which can be helpful if you make online tutorials and most importantly, you can just play a video, even online, in full screen and just record your screen. This can be extremely helpful if you wish to download a video from a website that is not supported. Needless to say, the recorded video can be saved and converted in almost any video format. All in all Video Converter Ultimate is an ultimate video converter with a lot of extra features that are very welcome and useful. Having used them, we’d not settle for anything less now. VCU is a package you probably wouldn’t get with any other video converter; there’s no doubt about that. But considering the freebies out there like Freemake Video Converter, we’re not sure how a $49.95 price tag will attract customers. That is not our job, however, so we’ll let the developers worry about how to sell it. 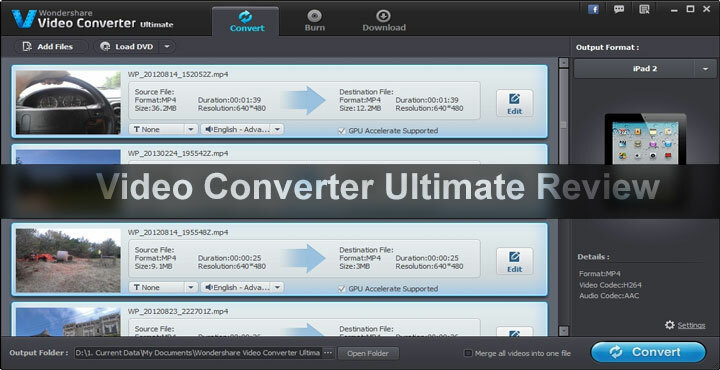 If you want a hassle-free video converting experience Video Converter Ultimate is a very nice option. 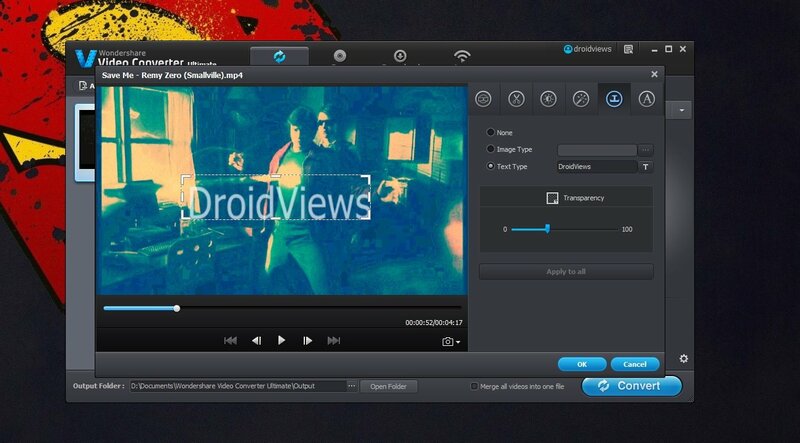 And when it comes with a built-in Video downloader and a pleasantly nice Video Editor we think it justifies the price. 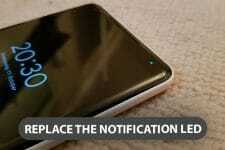 You can give the free version a try right now and decide for yourself. VCU is available for both Windows and Mac.